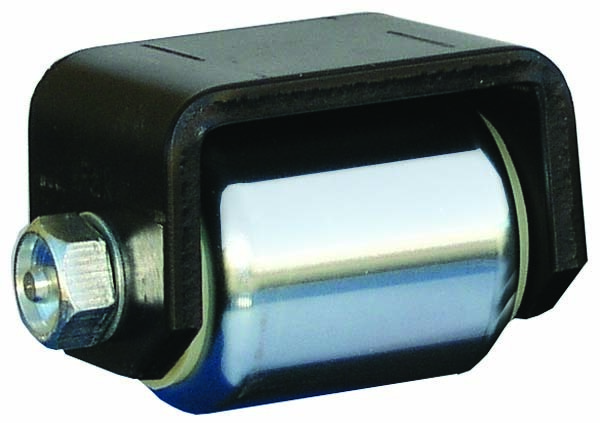 Marine roller is 2" x 2-3/16" wide. It is machined out of solid billet 303 stainless steel. The spanner bushing, zerk axle, and lock nut are also stainless. Zerk axle provides easy lubrication and grease seals keep grease in and dirt out.